Why is Pilates so good? What’s the difference between Pilates and other types of exercise? With so many fitness options available these days, why would you start a pilates program versus a traditional fitness program? Below are 10 benefits that only Pilates can give you. We’ve seen hundreds of people here a Pilates Plus in Highett achieve all of these and much more! No other exercise method is based on correcting postural imbalances. 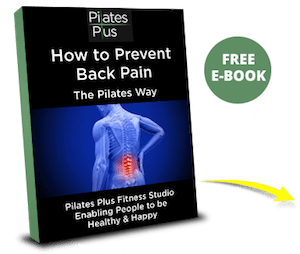 This is the foundation of the Pilates method of exercise and correct posture is the foundation of good movement capability. Who wants flat abs? Pilates teaches you how to use your abdominals effectively, without strain or pain in the lower back and neck. 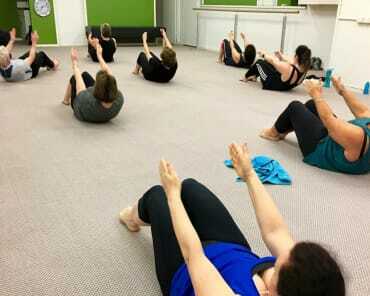 Pilates core strength gives you the strength to support your spine and gives you a pilates power house. Having long, flexible muscles is great, but they need to strong when they are long. Pilates creates length and strength at the same time. This is a massive benefit of the Pilates Mat Exercises. Mobility is different to flexibility. It has to do with your joints and their ability to move to their fullest capacity, like being able to sit on the floor, get up and down off the floor, look over your shoulder etc. 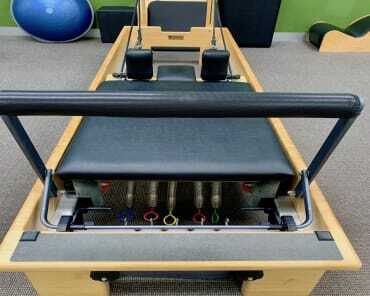 This is a massive benefit of the Pilates Reformer and all the other pilates equipment. Nobody wants to experience poor balance and the potential to have a fall. Falling over can cause an enormous amount of damage to the body and take a long time to recover form. Pilates is a safe form of exercise to specifically work on developing body balance, using the assistance of the pilates equipment. If you have ever suffered from back pain, you will understand how important it is to keep your spine healthy and strong. Pilates exercises focus specifically on developing strength, flexibility and mobility in your spine. Many people start pilates because of an injury, and it’s an excellent way to rehabilitate an injury and prevent it from re occurring. But the Pilates method of exercise is specifically designed to prevent many injuries from occurring at all. This is THE BIGGEST BENEFIT! OK, so we cannot prevent the ageing process from happening, but what we can do is keep our movement capability functioning at 100% for where we are at in our life. Nobody wants to be incapacitated and in pain as they get older. Pilates creates a life time of good fitness and health and is intended to be practiced for the duration of your life. The benefits of practicing pilates compound over time and it’s never too late to start. 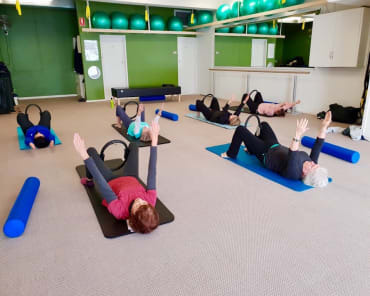 Here at Pilates Plus in Highett we have clients ranging in age from 16 years to 82 years, ultimately all wanting the same benefit…better quality of life!